You return to work after spending some flex holidays vacationing in the mountains, plop down in your ergonomic office chair, polish off a smoothie your company paid for, and plug into a set of virtual reality goggles right next to your dog. Sound too good to be true? You might be surprised by how awesome it can be to work for companies that develop VR, augmented reality, and wearable technology. From unfathomable tech giants whose corporate shadow projects decades into the future to small, scrappy, up-and-coming underdogs, the best companies to work for in wearable tech go blow-for-blow with many other established industries in terms of pay, perks, and benefits. And while technology jobs conjure up images of tech-savvy engineers and steely-eyed entrepreneurs, there are tons of different positions for all sorts of skill sets: designers, customer service reps, interns, recruiters, project managers, marketers, beta testers, and more. As a wearable technology enthusiast, you’ve probably asked yourself: what’s it like to work for those companies? WearableZone set out to compile a list of some of the best companies in the industry to work for, large and small. 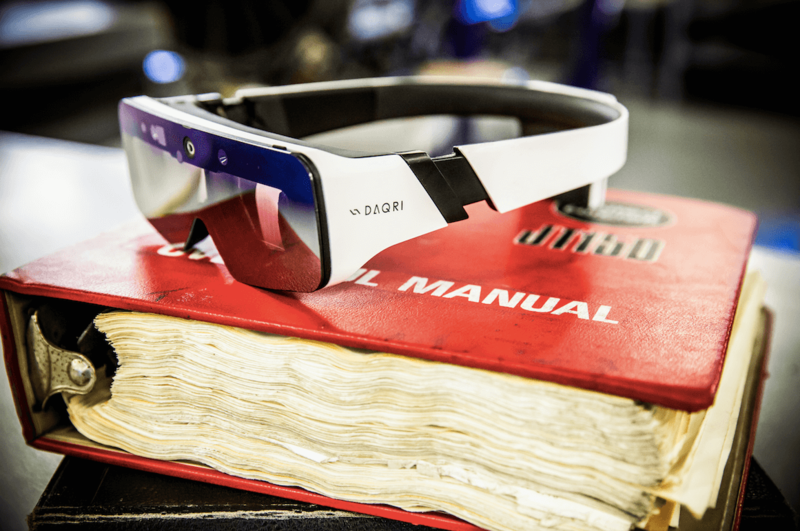 DAQRI is known for augmented reality technology that adds to the world around us. The Los Angeles-based company deserves to be equally known for its mind blowing unlimited vacation, yoga, and massage policy and dedication to tapping employee potential. What is it like working for DAQRI? 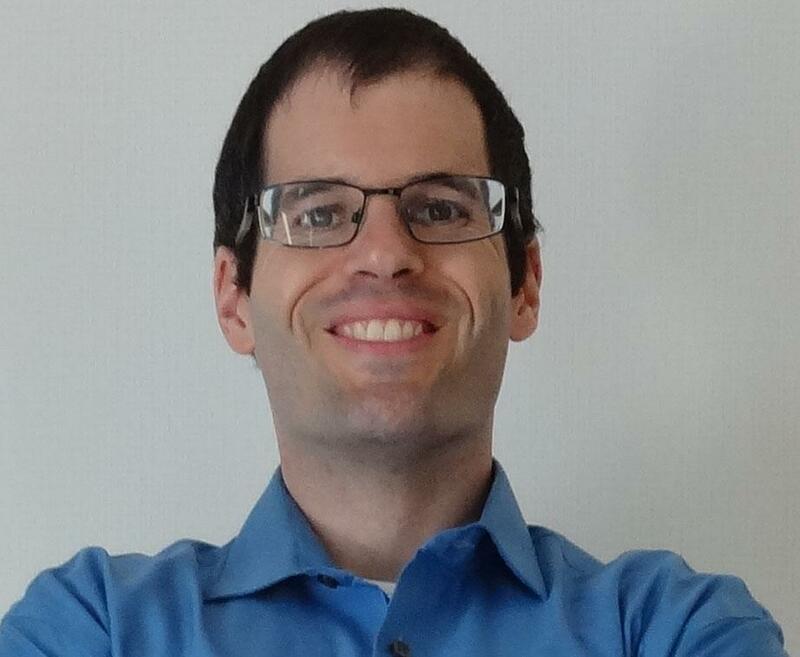 Nicholas Brandt: Working at DAQRI is a glimpse into the near future. We are building technologies today that will be foundational tomorrow. It’s an exciting place, though it has its share of challenges when you’re creating things that are so groundbreaking. What kind of perks do you have? NB: We offer a highly competitive salary, great healthcare benefits, and possibility for growth in an emerging field. There is also unlimited vacation, massages, yoga, and fitness reimbursement. NB: As with any technology company, we work hard, and we play hard. There are definitely times when deadlines must be met, but we also have an unlimited vacation policy to help maintain a good work/life balance. What kind of training do you receive? NB: DAQRI believes in supporting team growth, and we have a full Human Potential department to help with that goal. It should say something that our Human Resources team is actually called Human Potential, because we don’t view employees simply as resources, but as people with limitless potential. Where do you work and what do you like about the location? NB: Our headquarters are located in downtown Los Angeles. This location is particularly interesting because the building is part of Los Angeles Center Studios, so sometimes while riding up to our floor we’ll see celebrities on the elevator. Additionally, we’ve seen the resurgence downtown LA has experienced, and we definitely benefit from the many places to dine. 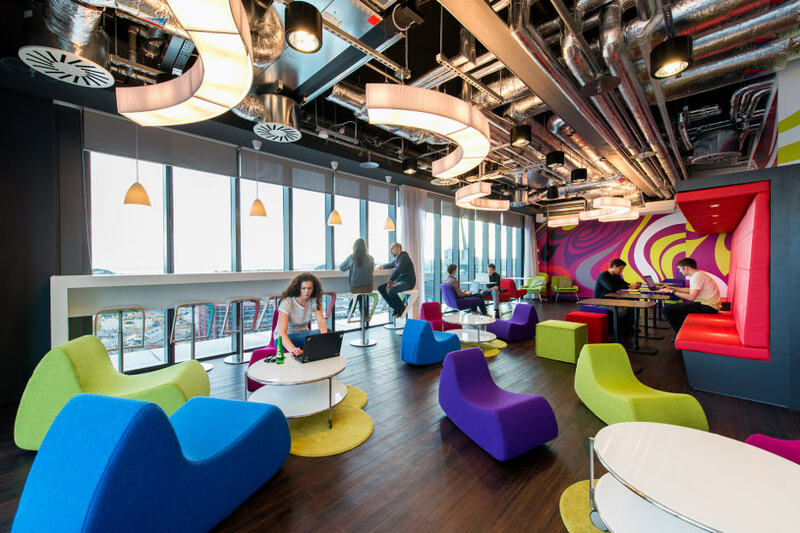 What kind of amenities are available at your office or campus? NB: We have a focus on healthy food and snacks at the office. We offer kombucha, cold brew, and a sparkling water dispenser, as well as the ingredients to make smoothies. Keeping our health in mind, there’s a gym on the eighth floor so we can engage our bodies and fight the rigors of stress that desk work can place on a body. Do you take any trips or do any activities with your team? NB: Different departments engage in off-sites to get away from the traditional workspace and challenge our assumptions. There is also the occasional work trip in support of our products at events like CES or Hannover Messe. Oculus is further along than many of its competitors and even announced a new standalone headset last year. In fact, over 100 jobs are available right now to work on the technology, and positions exist from San Francisco to Singapore. While competitive salaries and the chance to work both in the US and abroad are cool, the perks are where Oculus really stands out — including free food. Breakfast, lunch, dinner, and even snacks are provided for employees. Yowza. That could be dangerous. Eating at work might be a red flag to some that the hours are grueling, but Oculus offers 21 vacation days a year, flexible working hours, and a focus on family. There are team-wide events and parties, plus free Oculus products and access to all the latest prototypes. Part of why Microsoft has succeeded with technologies like the Hololens is that they go to great lengths to clearly define goals. Anyone who has ever felt like they are floundering in the workplace can appreciate Microsoft’s goal-oriented approach to development, which extends beyond their products and into how individuals approach their careers. Working for Microsoft in the US has some impressive benefits. Health care is a hot topic right now, but in Seattle, the doctors make house calls 24/7. The amount of time off is also terrific: 15 paid vacation days, 10 paid days for sick time, 10 paid holidays, and two personal days. That’s 37 days off in total. The Commons campus is loaded with things to do and places to eat, including a salon and day spa, sporting goods retail stores, a dry cleaner, and 11 different restaurants. The Redmond campus has 33 cafes and 37 espresso stands. There are tons of commuting options, including a fleet of WiFi enabled buses and shuttles, and there are even places to charge your electric car. From work to play, Microsoft’s benefits cover every base. Linden Lab, the creators of Second Life and Sansar, offer opportunities to build entire virtual worlds. The San Francisco-based headquarters feature ping-pong, workout classes, and even massages to take the edge off the workday. Catered lunches are served, and the food ranges from super healthy to sorely tempting. But save your appetite for the famous Linden Waffle days, when you can carb-load in style on a quarterly basis. You can also bring your dog to work — everyday. Crunch time feels a lot less stressful when you can draw strength from the unconditionally supportive gaze of your canine companion. Linden Lab even has a so-called “Love Machine,” which is built for the specific purpose of expressing employee appreciation and dispensing quarterly bonuses. It’s a rare and wonderful thing to see any company go to such great lengths to make its employees feel valued. 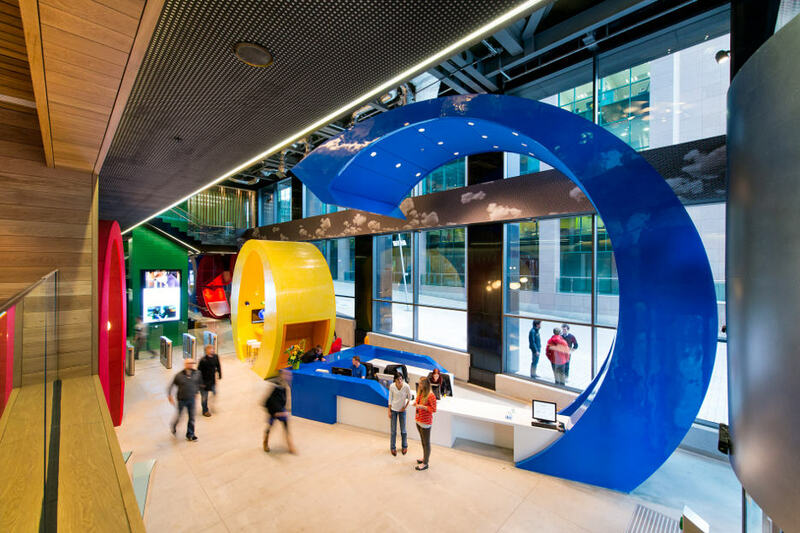 Google consistently ranks as one of the top places to work, and it is famous for its perks and benefits. The Mountain View campus has a host of avenues for exercise and entertainment, including an outdoor sports park and a bowling alley. Not just any company will help you with music lessons or let you bring your dog to work, but Google will. You can spend your day developing VR technology that is accessible to everyone, have a brainstorming session with your faithful canine sidekick, take a break to explore that musical instrument you’ve been wanting to try since seventh grade, and then go rock climbing to finish off the day. For most companies, that sounds like fantasy, but at Google, it’s part of the regular nine-to-five. A lot of work environments can be pretty unhealthy: long hours at a computer without a stretching break, no incentive to exercise, and no time left at the end of the day to do so. But not at Fitbit. 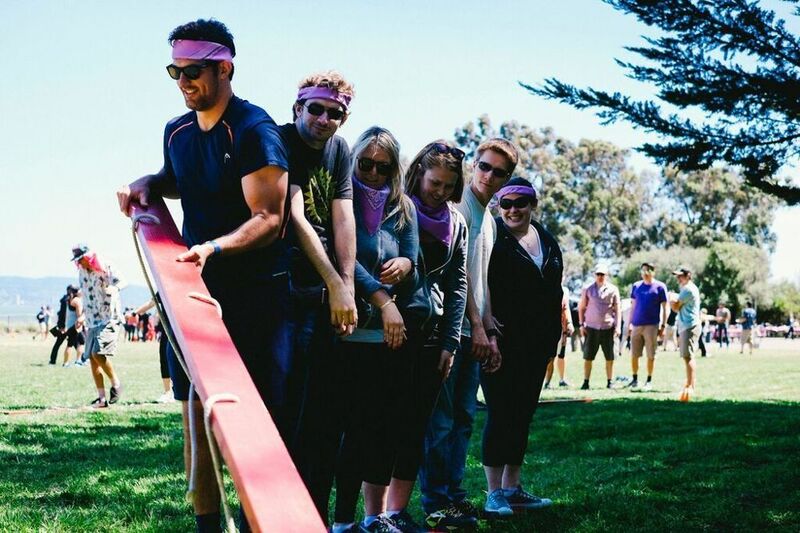 Workout Wednesdays, running clubs, sponsored marathons, on-site step challenges, and free workout classes show how Fitbit blends healthy living, work culture, and even their own product into a balanced whole. The kitchen is fully stocked with healthy food, and the campus even hosts happy hours. If you’re a fitness nut trapped in a technology enthusiast’s body, Fitbit has the ultimate work environment for you. Garmin is known for its deep lineup of data-packed wearables, and if you’re the outdoorsy type, the company offers some pretty sweet perks that support good health and adventure. Garmin covers race entry fees to make it easier to compete in a triathlon or just have fun at a muddy 5K. The company also offers flex time so you can pursue your favorite activities in the great outdoors, such as summiting that epic mountain peak you’ve had your eye on for years. 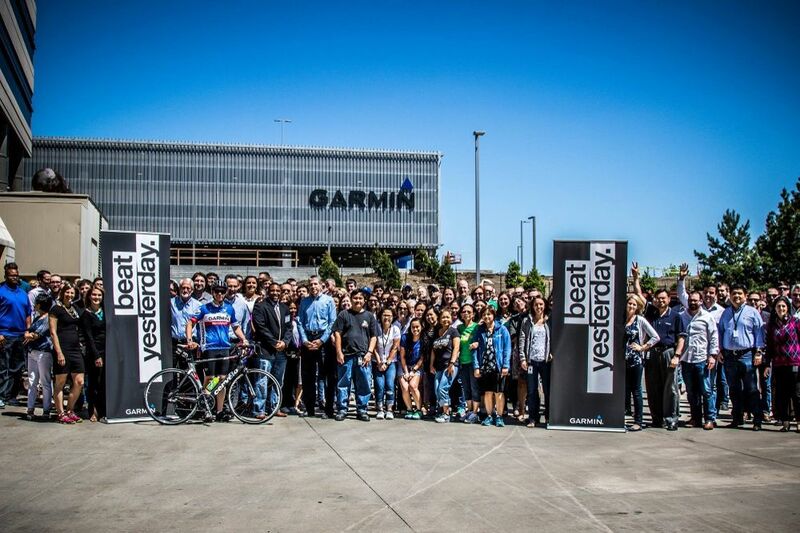 The year-round bike to work commute challenge helps employees stay in shape with a little friendly competition. The Garmin Marathon is also on the agenda, and you can expect a big turnout from the team. Rest assured: you will always be challenged no matter where you go within Garmin. What was your favorite workplace perk? Would you work for one of these companies? Tell us why in the comments. 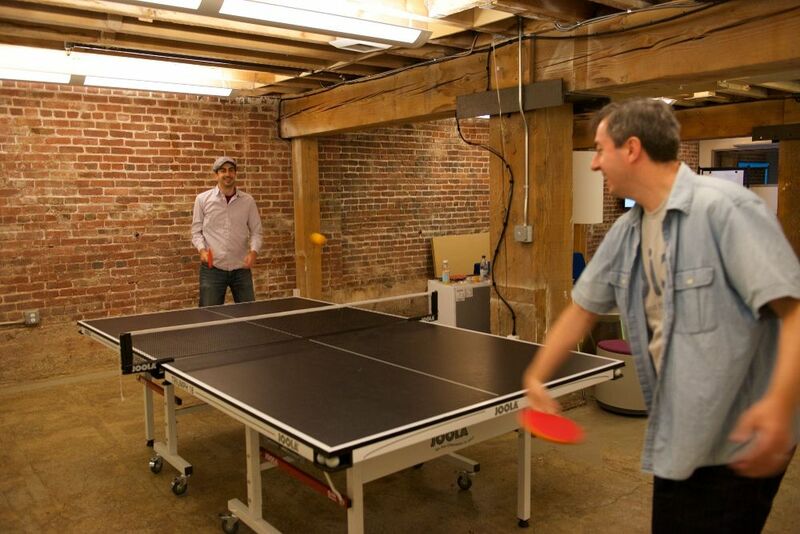 "As with any technology company, we work hard, and we play hard."